I think there are several different kinds of bloggers. You get the one’s who are just everyday Joe’s or Jill’s who use a blog like an online journal, that’s not really meant for anyone but their own amusement. Then there are the bloggers who post on current world events and political views, also on current world issues, and are basically an opinion based article. Then you get the comedy one’s that are sending up different political, religious views or just life in general. Then there are the blogs that are reviews on music, books, movies. Those often fall within different viewpoint categories as well. Finally, you get the blogs which are just random pointless musings that are really just an excuse for procrastination. Which to be honest, is the reason for this post. Seriously, stupidest rule ever. I mean apparently only three times [including this time] has a Grand Final ever ended in a draw. It’s just stupid. Even the coaches think it should be decided by overtime. I guess some bonuses will be that now the Pies can focus on improving on the areas that let them down…*cough*Travis’kickingskills*cough* and come out fighting. Also they’ve been through the fire once they’re sure to be much better placed next week. But, damn, I don’t think I’ve gotten so emotional over the sport in a long time. I was crying when it was over. Actually I was crying when the Saints were 1 point ahead. That just about killed me. Hung parliament and hung AFL grand final. What is going on Australia? It’s September, footy season. That is AFL, not soccer, not NFL, not NRL [even though it is NRL finals season as well]. 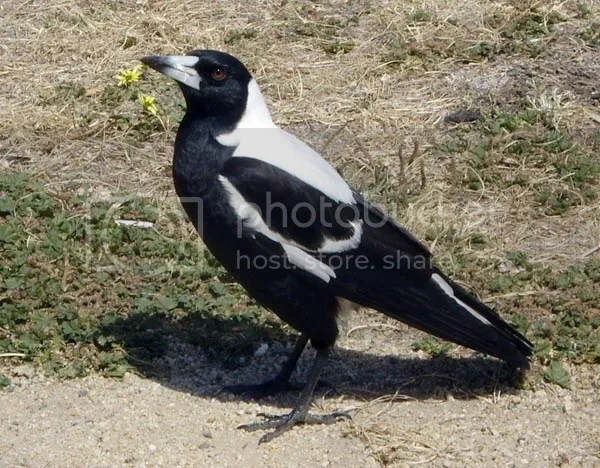 The team I support, Collingwood Magpies are finally in a Grand Final, the first since losing the double of 2002/2003 against Brisbane Lions. I don’t think I’ve ever been so excited about a football match for a very long time. I have to say, that usually I don’t get super excited about sport. But, when it comes to the teams I root for? That’s a different story. I guess it helps that I’m slowly gaining an understanding of the code. This wikipedia article has a lot of information on the game itself. This one outlines the League itself. This one explains the positions. 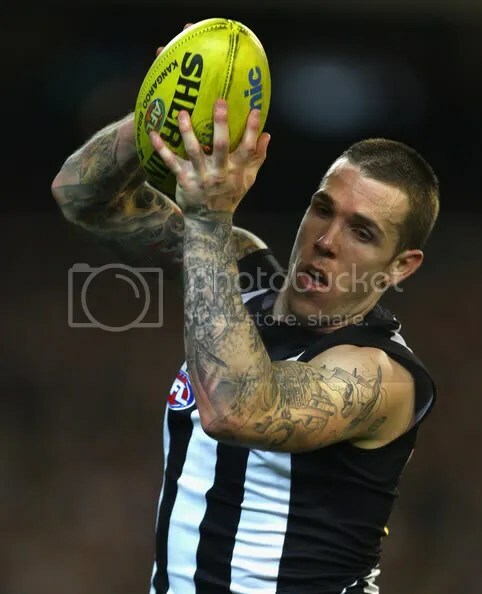 My favourite Pies player is Travis Cloke, he’s centre-half forward and is a pretty good player, he’s only young as well, 23 years old. So, anyway, that’s it for me. 1. What is your favourite team sport to watch, or support? 2. Are you a fanatic, or do you just support because of family or friends? 3. When the finals seasons for your preferred sport comes round [if this is relevant] what do you do? Oh, one more thing, Swanny is up for the Brownlow Medal. :D.
Just some random thoughts for you to chew on, or not, since it’s not food. I’m not sure how it works, but sometimes I latch onto a song and it’ll wind its way into my mind, and heart and I just can’t get sick of listening to it. Very few songs fit the bill, but the ones that do, include Perfect World (Simple Plan) and Victim (A7X). Others would be, Bye Bye Bye (*NSYNC), He Don’t Love You (Human Nature) Hole in the World (The Eagles), Love Changes Everything (Michael Ball) and No Ordinary World (John Farnham). PW and V top the list, though. I really really like Nic’s cupcakes. I crave marshmallows at that time of the month. I once listened to a song so much it sounded like it had gone out of tune. And no it wasn’t a tape that had worn. I really want to go see the Tomorrow When the War Began movie. I read the novels when I was younger, and had a huge crush on Homer Yannos. I think he was seriously my first fictional crush…lol. And that’s it. Night everyone. No thought for the night tonight. It was Dads’ Day today. And Perth put on really nice weather for it today. I made Dad breakfast in bed. Then I took him to Church, mum came as well. Haydn spoke on the Lessons we learned from our Dads, and he had to tie it into our new theme of Riverview at the Movies. So he used clips from the film Charlie and Boots [an Aussie movie] to highlight some points. You gotta know when to laugh at religion. I’ve bought some new songs today. 2. Smile – Uncle Kracker – I’m predicting this song will be a One-Hit wonder. Never heard of the guy before, but the song is really catchy and just feel good. 3. Prayin’ For You – Lecrae; I heard this song for the first time at Church when the dance team did a dance to it. Pretty uplifting, and it’s actually hip-hop/rap. I’ve also bought a few of his other tracks as well. Christian hip-hop/rap artist. Lot better than Eminem in that regard. Even though the Em man is pretty good. So, that’s me for tonight. Work tomorrow. And every other day of the week. Oh, I also finished my Bible course, but I want to do another one next term, we’ll see though. We make a living through what we get, but we make a life through what we give.